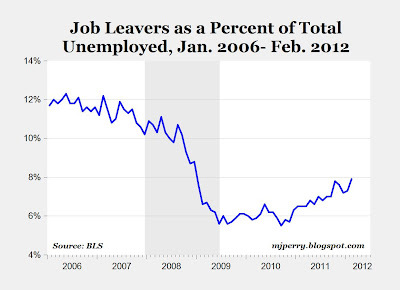 The chart above shows "j0b leavers" as a percent of all unemployed workers, which has been steadily increasing since the summer of 2010 and rose to 7.9% in February, the highest level since December of 2008. As First Trust Portfolios pointed out today, "That’s what we should expect to see as attitudes about the job market improve: more workers who are confident they can leave their current position and find a better one." Also, the increase in total civilian employment over the last 12 months through February 2012 of 2.5 million workers is the largest 12-month job increase since the 12-month period ending in March 2007. All well and good but since the bottom of employment in early 2010 the annual rate of growth is only 1.4%. 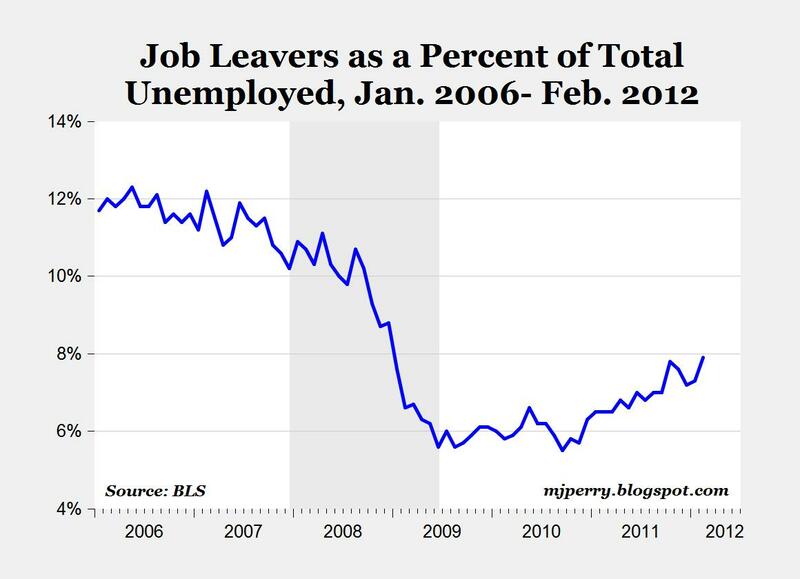 We are nowhere close to getting those that lost their jobs back to work as the work force is increasing at a 0.8% rate.